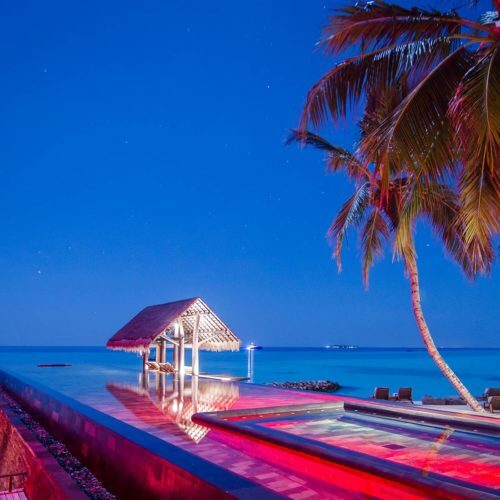 Sleek, Spectacular, Chic Set apart, this luxury resort spans, a 109-acre island, encompassing 12 endless beaches where space, privacy and above all luxury are paramount. 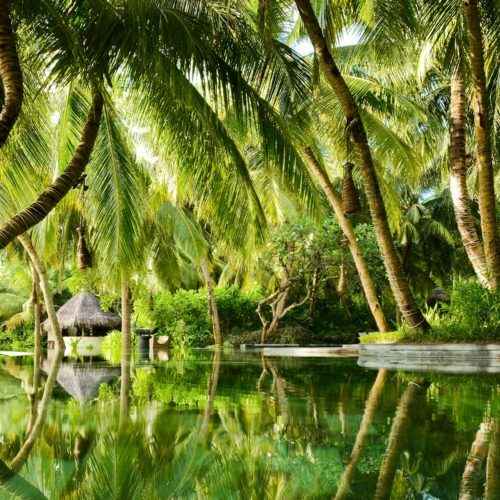 Sleek and spectacular the 130 large villas are either secluded amongst lush greenery or stilted above the tranquil lagoons. Elegant and contemporary these are among the largest resort villas in the world. 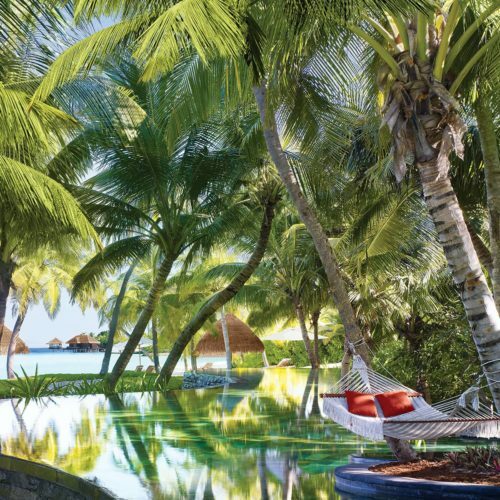 Perfectly isolated from the resort the spa is an experience all of its own to relax. 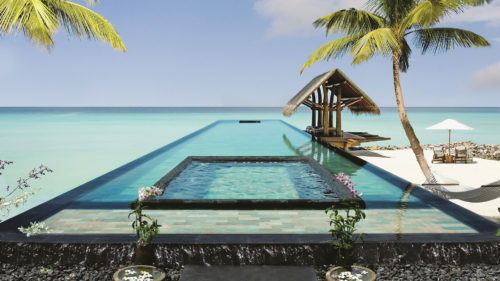 The emphasis is on island chic; from the casual beach-side dining, to the more formal affair at the main Reethi Restaurant.